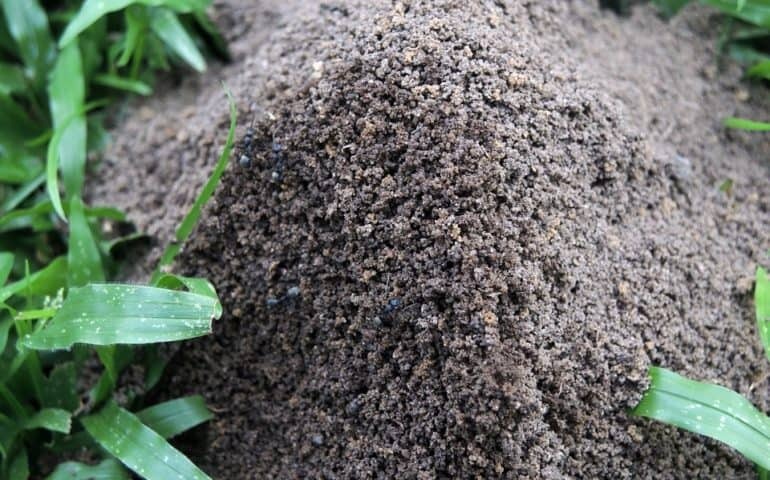 Many have problems with ants in their home and this may be deterred by stopping the problem where it begins, the Ant Hills! In this post, we will go over how to take care of the ants by applying DE to the Ant Hills. This works well for all ant types even fire ants and carpenter. Firstly, gather needed supplies, mark off ant hills or areas of any hills using some sticks or colored flags. Lastly, remove broomstick and immediately after, slowly pour the solution you just mixed up into the hole you created. The club soda will help to break up more the chambers and expose more of the ants and QUEEN to the diatomaceous earth. Works very well with any kind of ant especially fire and carpenter in the southern states. Carpenter and sugar ants have smaller mounds and we recommend a smaller stick to break it up. For example the end of a wooden stirring spoon or end of a spatula.